What Is the Standard Drywall Thickness for Interior Walls? 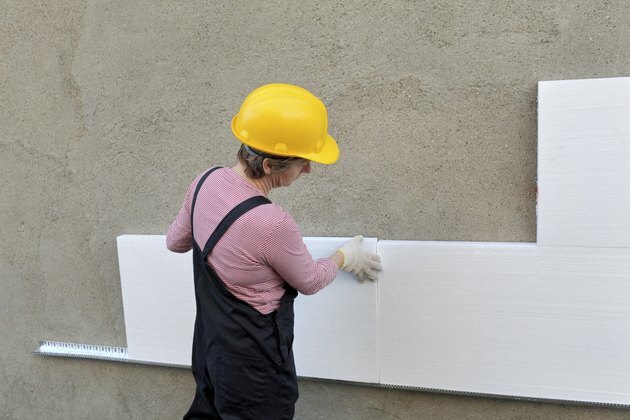 Drywall, also known as plaster board, comes in a variety of thicknesses. Drywall that's thicker or thinner than standard drywall can be used in special situations around the home. Installing drywall can be a do-it-yourself project with the proper equipment and materials. The first step is to determine the appropriate thickness of the drywall. The most common thickness of drywall used in residential interior construction is 1/2 inch. This material is recommended for walls with studs placed 16 inches on center. If the wall studs are placed 24 inches on center, a 5/8-inch drywall is recommended. Most prehung doors are designed to work with 1/2-inch drywall installed on each side of a two-by-four wall. Thicker drywall may require adjustments to the door assembly. Thin drywall, commonly 1/4- or 3/8-inch-thick, can be bent around curved surfaces. This type of construction is used in archways and other areas where the surface covering needs to be bendable. Two layers of the thin drywall can be installed to provide structural integrity. Fire-resistant drywall is available in both 1/2-inch and 5/8-inch. This material is often used between units in an apartment building or around furnace or utility rooms in a home. The 5/8-inch-thick panels of drywall have a fire resistance rating of 60 minutes, compared to standard drywall panels' rating of 30 minutes. Check local building codes for the materials approved for your area. 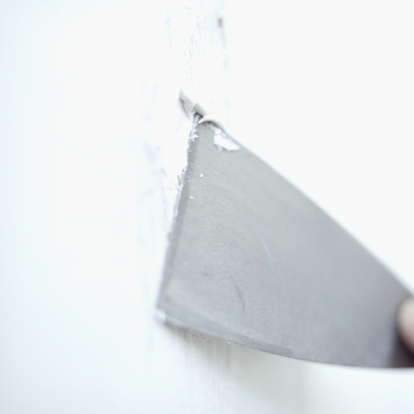 Thin drywall, 1/4- to 3/8-inch-thick, is also used in repairs to interior walls. In some cases the drywall is placed over old plaster that is cracked and breaking up. In other cases, the thin drywall covers old drywall that has discolored or been damaged. Thin drywall can be used because the original material provides a structural backing. What Drywall Do You Put Behind a Wood Stove?